On-site testing is crucial in order to determine the factors affecting your water right at the raw water source. And of course we document and log all the testing data. Lab Testing is the next crucial step. When it comes to lab reports it is obvious that the more parameters are tested for, the more comprehensive a picture can be drafted and the easier it is to find the most beneficial solutions. If calculated and interpreted correctly, a comprehensive report also highlights any conflicting or contradictory parameters in the water. And just as well it is easy to understand that a broad spectrum of relevant parameters provides the basis for multiple options, when it comes to a proper system design. But this is not all. When we start taking a look at potential solutions, we take many more things into account. The best way to describe our comprehensive approach is to say we start at the source and finish at the faucet. We start out by taking a look at your well and ask for your well report. Type of well, pump, recovery rate, flow rate, draw down, casing and overall condition are relevant parameters. 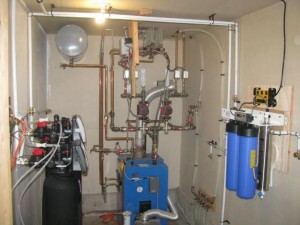 If part of your well is cause for concerns, we work with other licensed specialists in this particular field and can make recommendations to you. 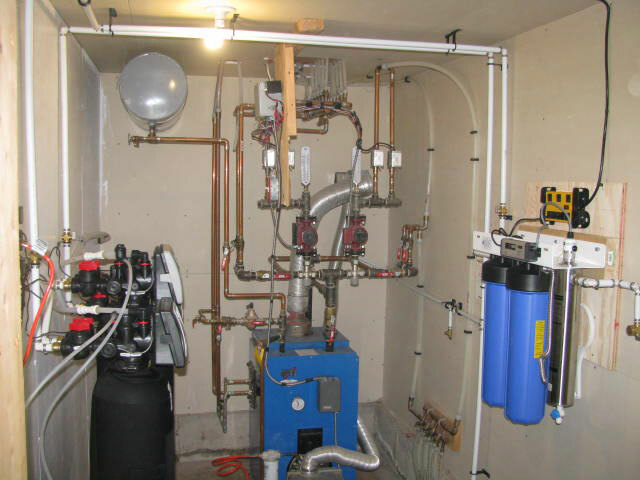 Then we take a look at feed-lines, piping, hot water tank, pressure tank, plumbing, drainage, flow rate, UV Transmittance, overall conditions, space and location requirements etc. Once all the relevant data has been collected, we can start designing your system. And we like providing multiple options wherever possible and feasible. Finally it needs to be realized that water is not a constant factor. 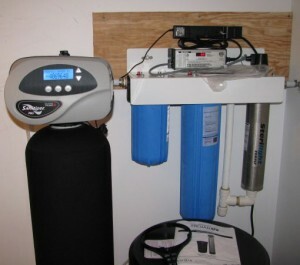 Water conditions can change over time with varying results. We support the government recommendation, to have the water tested on specific, pre-set schedules, which is one part of the service we provide. What it all comes down to is that customization is key. A tailored treatment sequence, well designed and taking all relevant factors into account, will be customized to your specific water situation and your personal objectives. We know that generic approaches – you might have heard statements along the lines of “if you live in this area, you need this device” or “my neighbour has xyz, hence I need the same” and many others – will not provide long-term reliable solutions. Unless someone with a generic approach “hits a fluke”, the unfortunate truth in our industry is that “almost every device will do some good – at least for a certain time.” But this non-scientific approach is just not what we provide to our clients and the long-term-relationships we seek. And in conclusion of the above context, we would like to add some ideas with respect to pricing. Truth be told, under regular circumstances a consumer is usually not in the position to really compare product lines – let alone follow all the calculations with respect to longevity, efficiency etc. – and because of this, often times price comparisons take precedence, sometimes even over data collection and associated legwork; an approach, which is plain and simple wrong. If you are in the market to buying a new vehicle, would you go to a dealership’s lot, ask the salesperson for a vehicle and if his/her response is “Sure, we have the green one over there”, would you buy it? Hardly! You would want to know more parameters about the vehicle, would expect the sales person to ask for your specific needs and then even compare insurance rates, service and maintenance cost and many more. And by the end of the day you would still take into account, from which dealer you have received the best service, best information, best -non-pushy approach etc., correct? So why is that so different in our industry? Because of the lack of knowledge? Likely! A lack of awareness? Very Likely! The broad spectrum of what should be explained to the consumer but is not? Possibly! Maybe even a little fear of certain areas such as in-depth water chemistry, technical components and so on? There is a good chance for that, too! 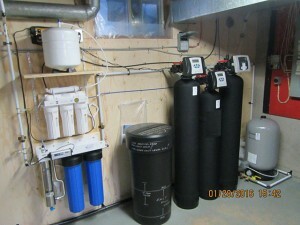 So what we refer to is that no consumer should assume “a softener is a softener”, “an iron filter is an iron filter”, “a UV light is a UV light”, “a reverse osmosis system is a reverse osmosis system” and so on. Based on the appropriate choice of technical components, beneficial extras, the overall performance of any unit, proper installations, etc. etc. pricing can range quite a bit. All the more we like our independent set-up, which not only allows us to provide a wide range of alternatives to our customers but provide independent consultation and neutral comparisons while ensuring the service and maintenance of the equipment just as well. You decide if that sounds like a huge benefit for the client!